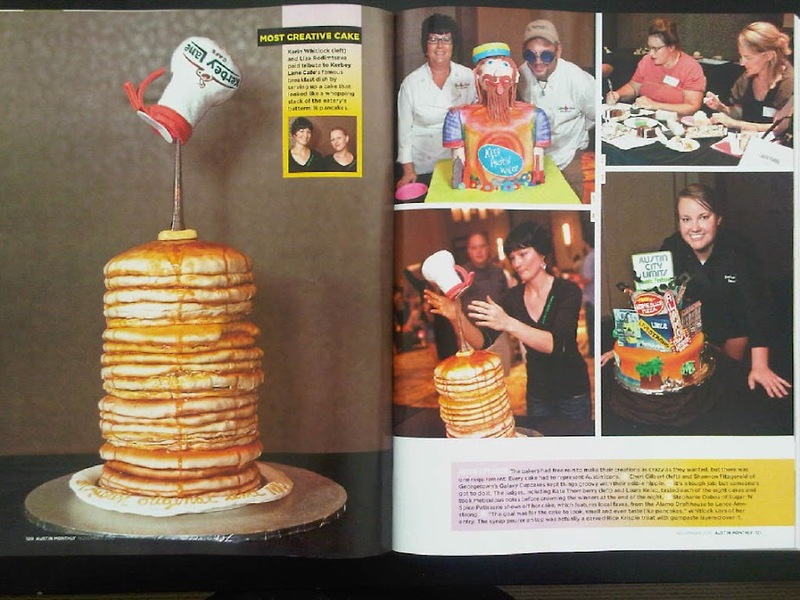 I recently participated in the Austin Monthly Cake Off – cake competition. 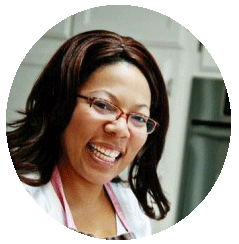 I dragged my sister along as my assistant and competed against some of Austin’s best bakers. I usually drag her along for everything….this was no different. 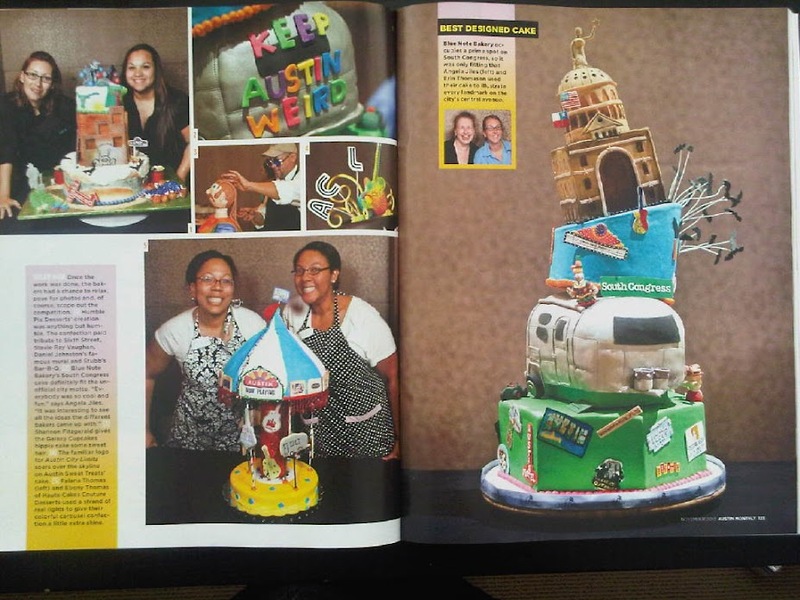 Our challenge was to design a cake based on Austin. 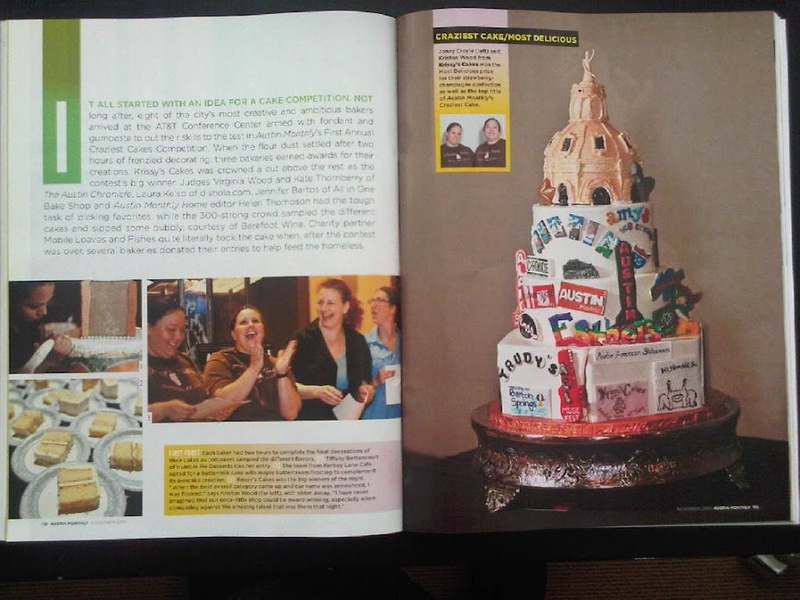 We came up with a merry-go-round cake, and decorated it with sugar cookies that looked like different Austin icons. This was a fun, quick thing I signed up for at the last minute. 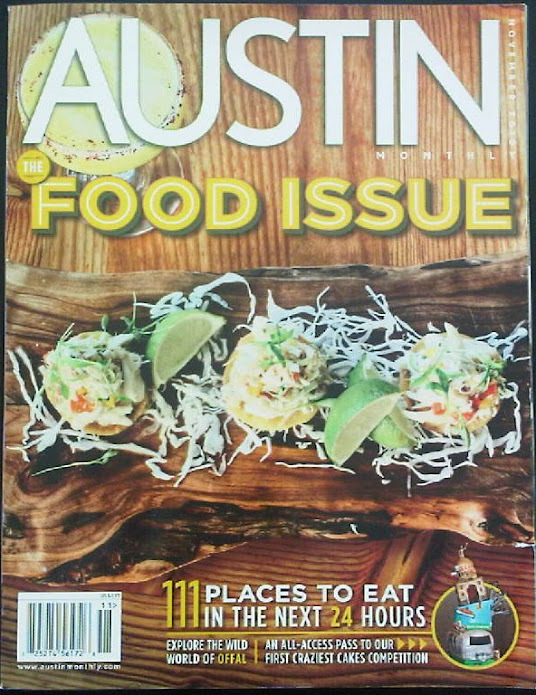 We had a great time and even ended up being published in the Austin Monthly Food Issue. We’re famous, y’all.